When life gives you lemons, make lemonade. 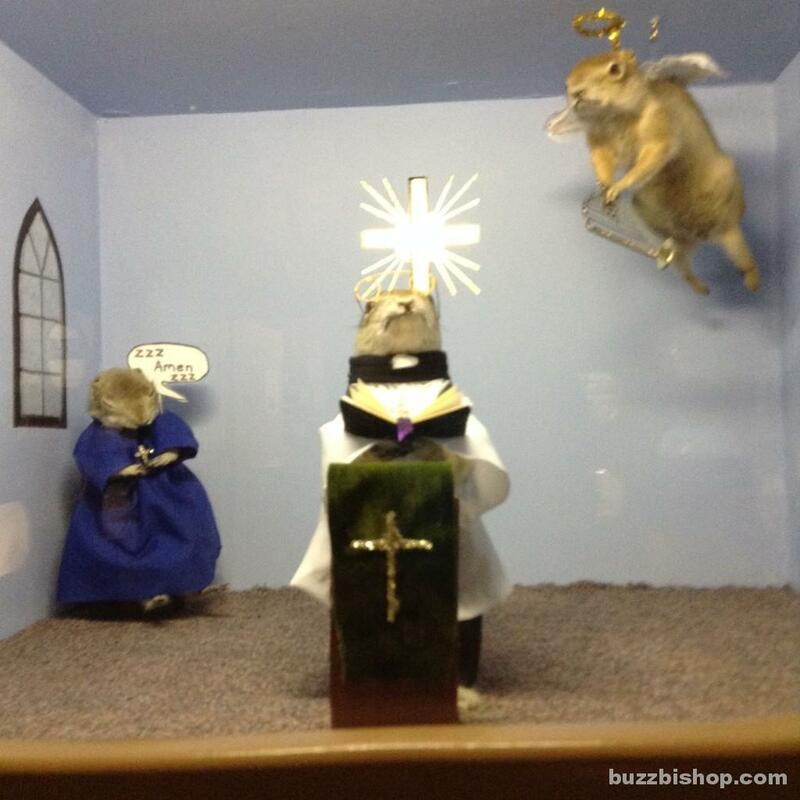 Or, in the case of Torrington, Alberta, when you have too many gophers (actually Richardson’s Ground Squirrels), stuff them, put them in dioramas, and charge admission. 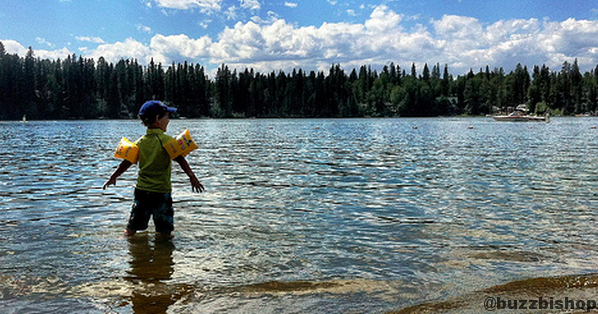 Torrington, Alberta is home to barely 200 people. 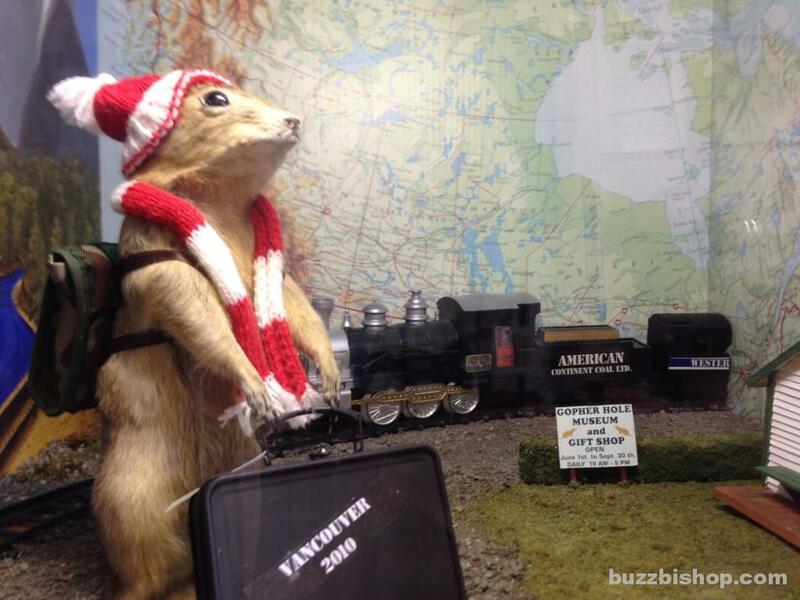 It is also home to the World Famous Gopher Hole Museum, which has nearly 100 inhabitants in the form of taxidermied gophers. 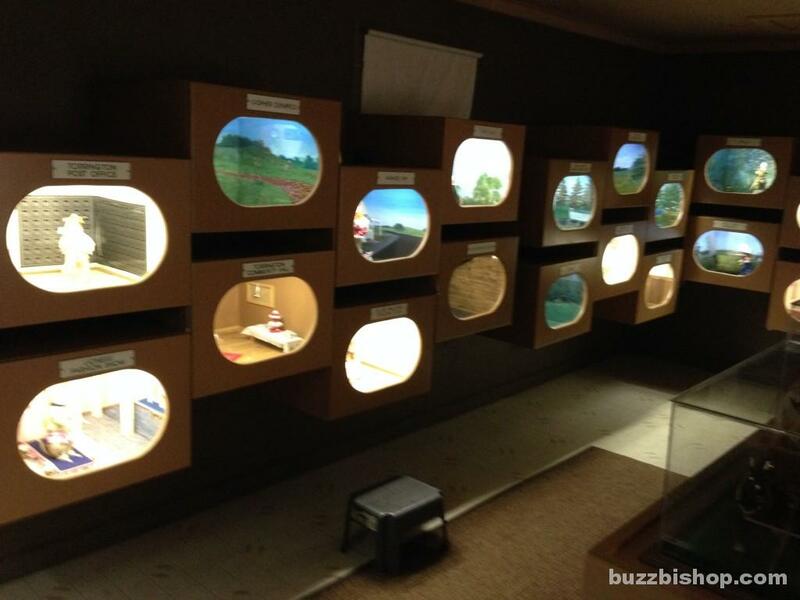 The museum was the response of Torrington leadership who needed a hook to revitalize their town. 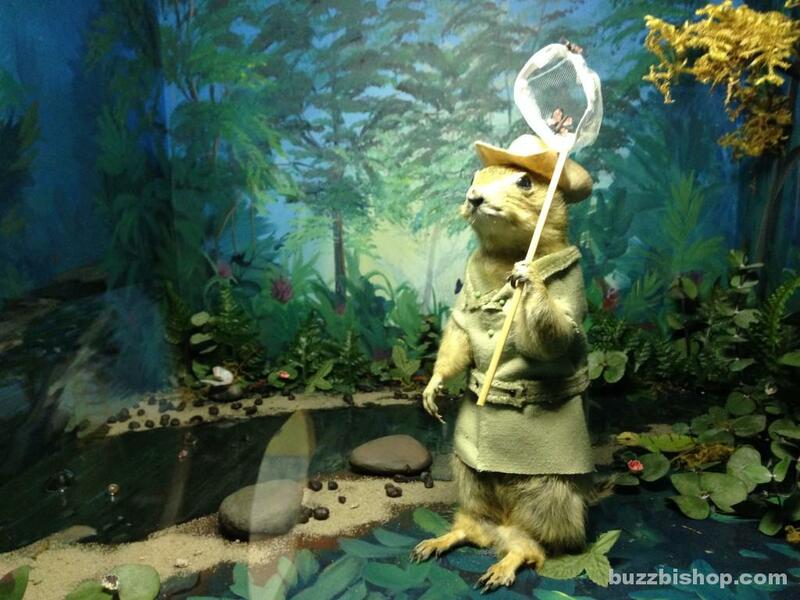 At first they thought about a live gopher exhibit underground, but the idea was too expensive. 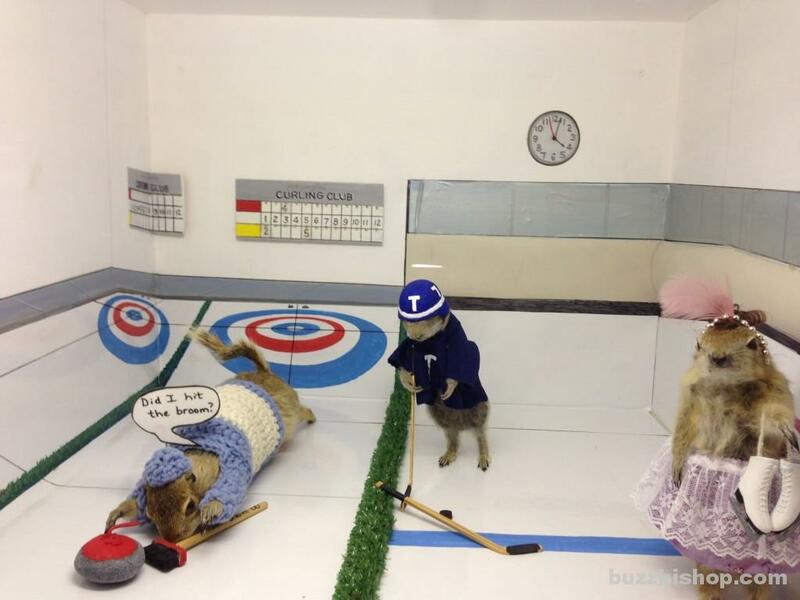 Instead, they take the gophers trapped by local farmers and dress ’em up. 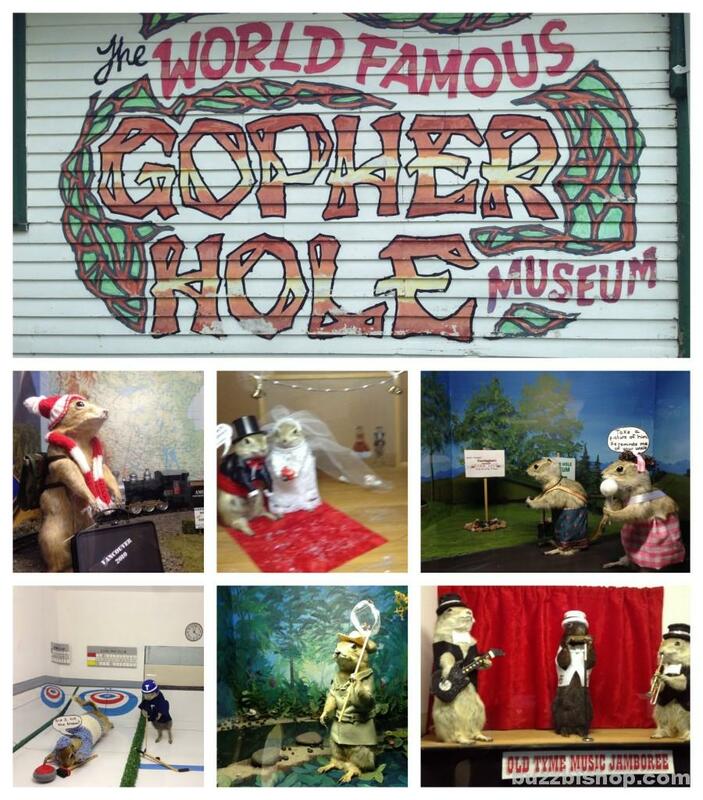 The gophers are stuffed, wardrobed, and dropped in to various diorama scenes depicting local life. 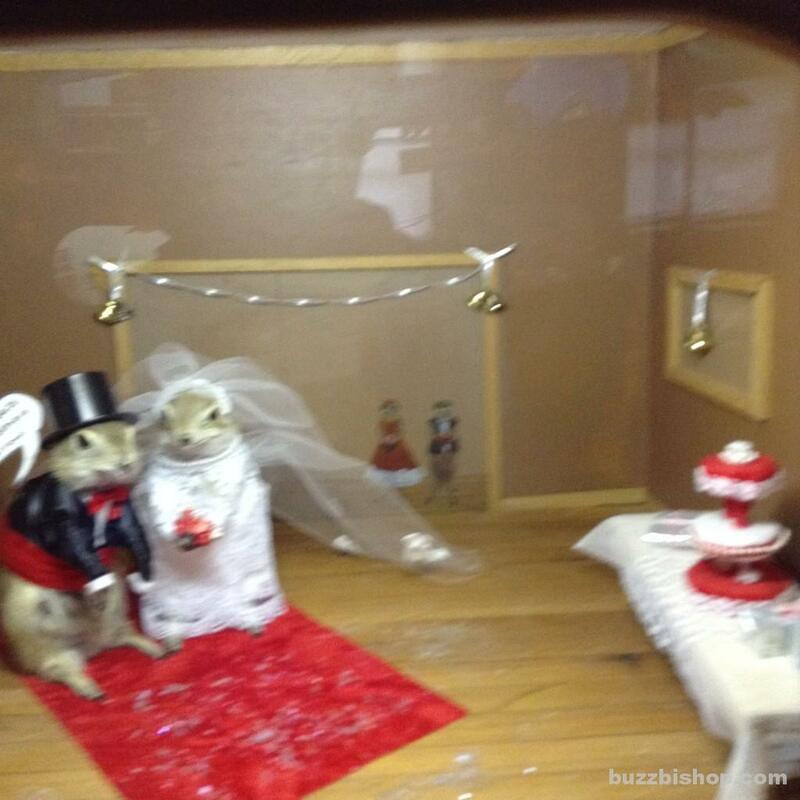 There are49 dioramas in all covering off the motorcycle club, church, and pizza parlour. There’s the trailer park, curling rink, and random (bizarre scenes) featuring weddings, snowball fights, and life in prehistoric times. 7 000 people a year now swing through Torrington, and last weekend we added 3 more to the annual total. The boys absolutely loved this place. 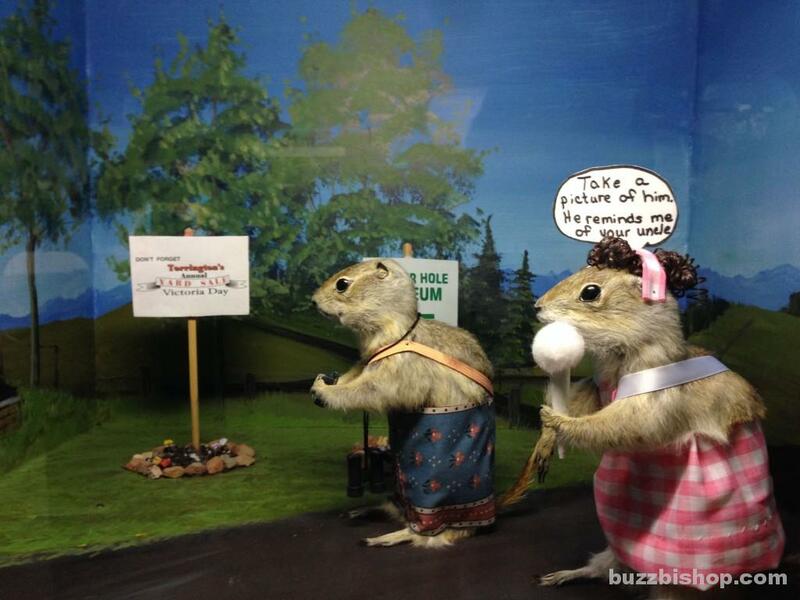 They laughed and giggled at the different scenes featuring the Richardson’s Ground Squirrels. Zacharie took most of the pictures you see in this post. 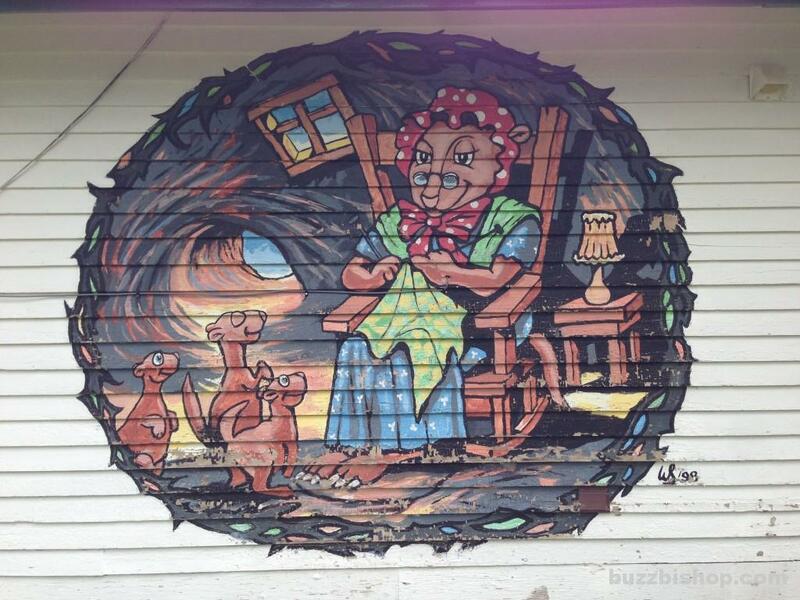 Helen is a curator of the World Famous Gopher Hole Museum, and she is a treat. She reminded me of my Nan when I saw her kind face, and as I turned and saw the shelves of knitted clothing for kids in the gift shop, it made my heart melt further. 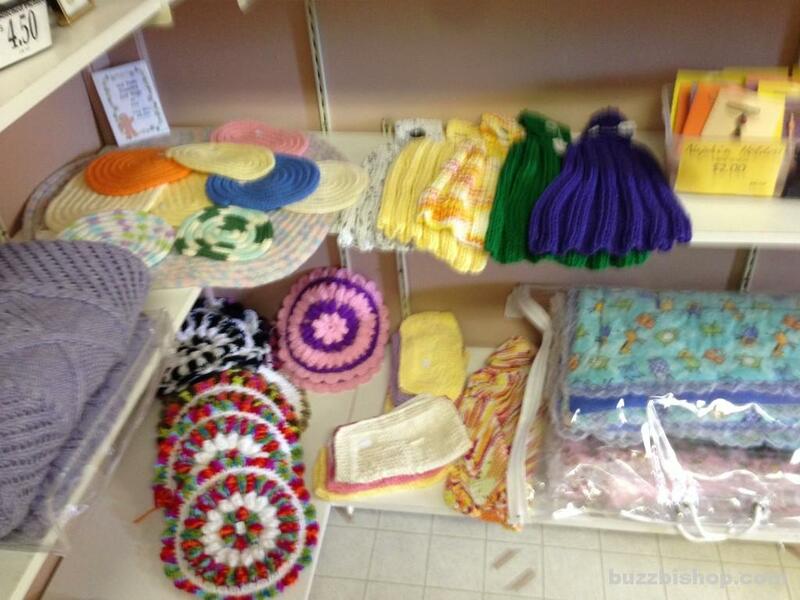 The place is just cute kitsch that can’t help but make your day brighter. 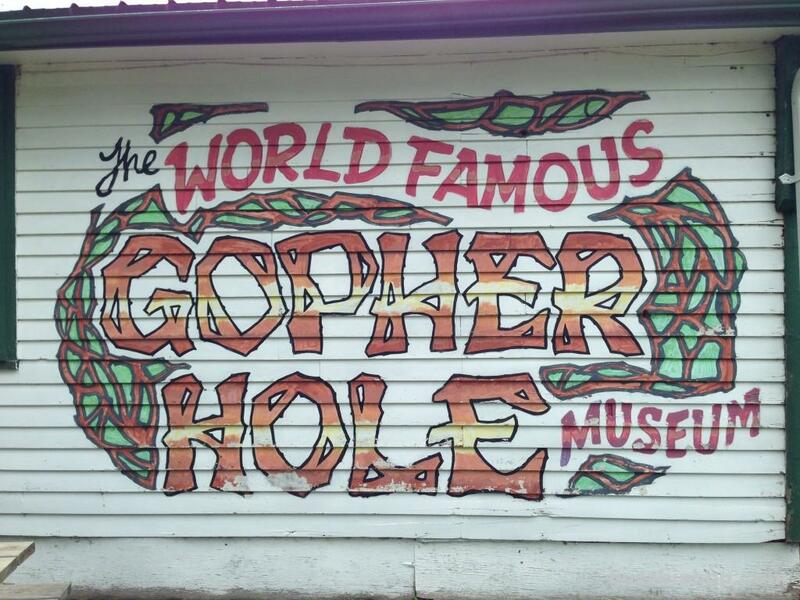 We planned a visit to the World Famous Gopher Hole Museum in Torrington as a picnic lunch stop between Calgary and Stettler, and it was absolutely perfect. 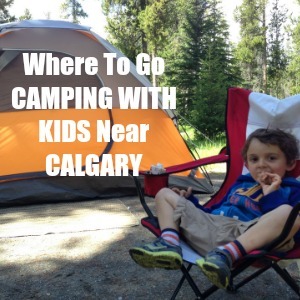 It’s just 90 minutes from Calgary, and there are picnic tables scattered on the grass next to the small building. 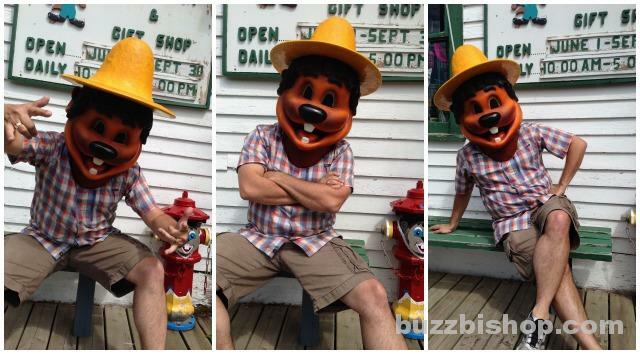 Don’t forget to ask to wear the big Clem T Go-Fur head. You can slip it on and then pop outside for fun pictures on the front bench. 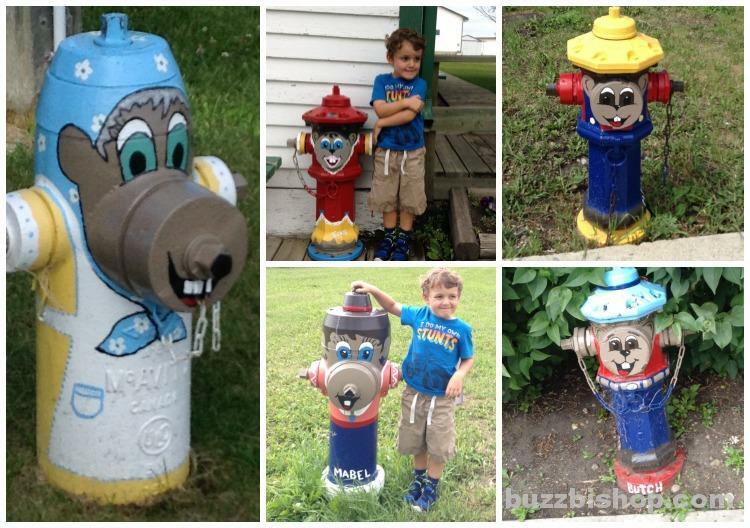 Also of note in Torrington, but receiving much less fanfare, are the painted fire hydrants. Zacharie and Charlie noticed them straight away and we grabbed a map from Helen showing their location throughout the town. We then chased up and down each street taking pictures of them all. It’s a bizarre, curious, wonderful place. And worth a visit. 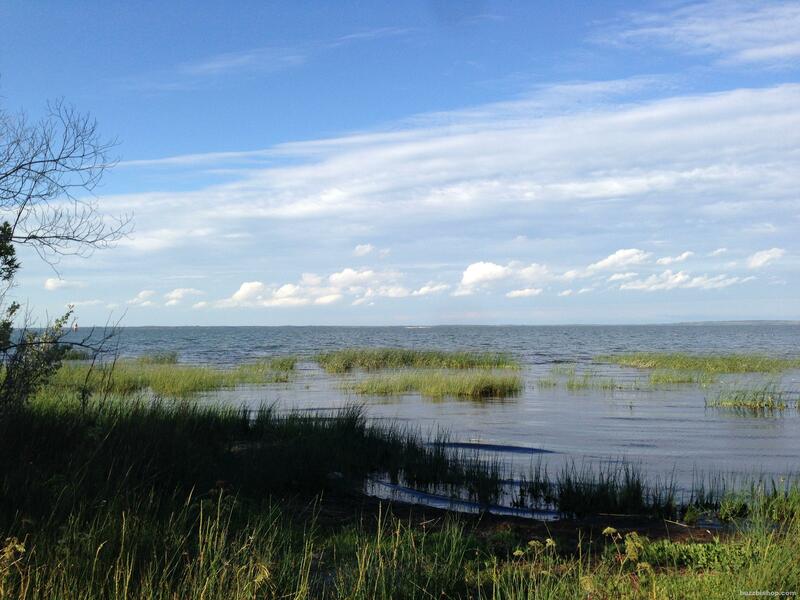 If you’re making a road trip to Stettler, or Dry Island Buffalo Jump, or just wandering around the badlands, stop in Torrington and smile.